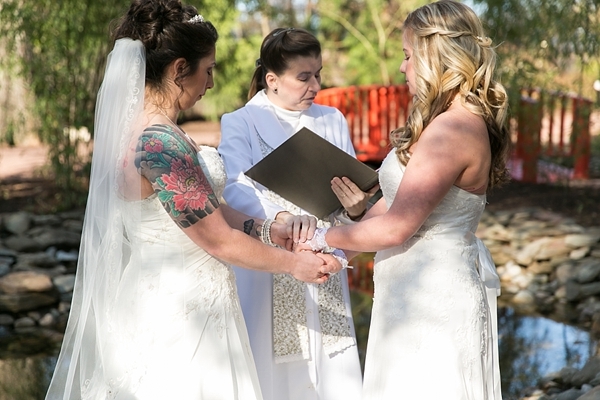 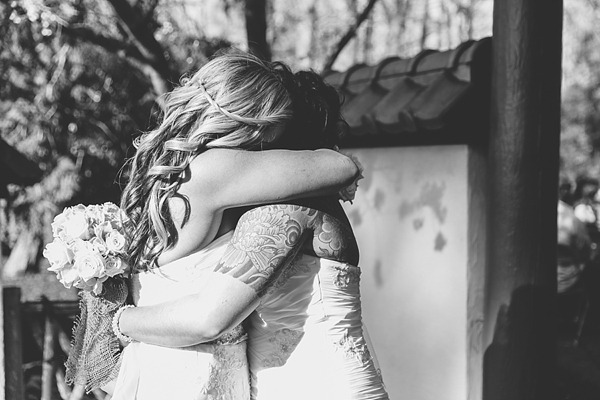 Ashley and Heather's intimate Red Wing Park wedding ceremony was with their very closest loved ones. 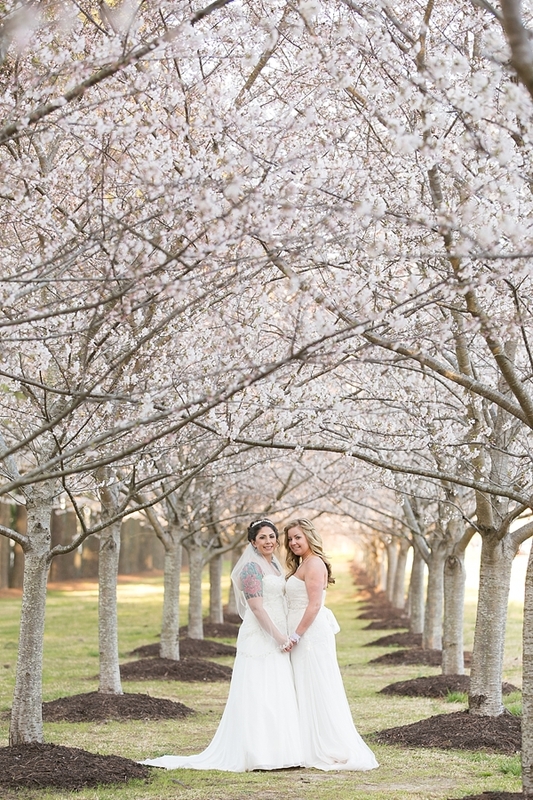 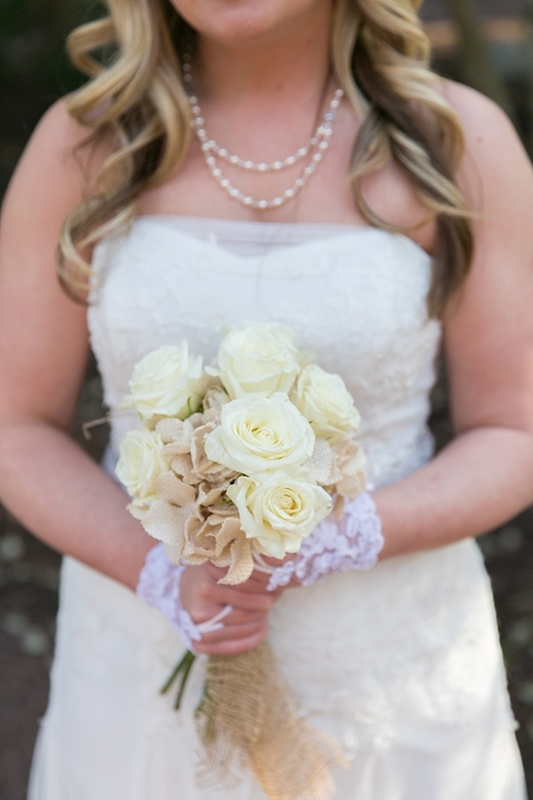 With family contributing handmade details, a dapper pup named Jack, and being surrounded by springtime perfection at the place for cherry blossoms in Hampton Roads, there was nothing but sweet new beginnings for these two brides! 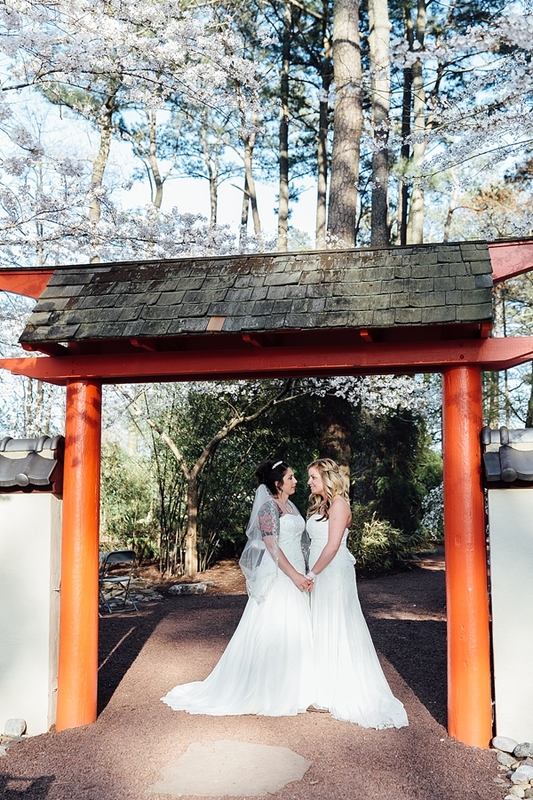 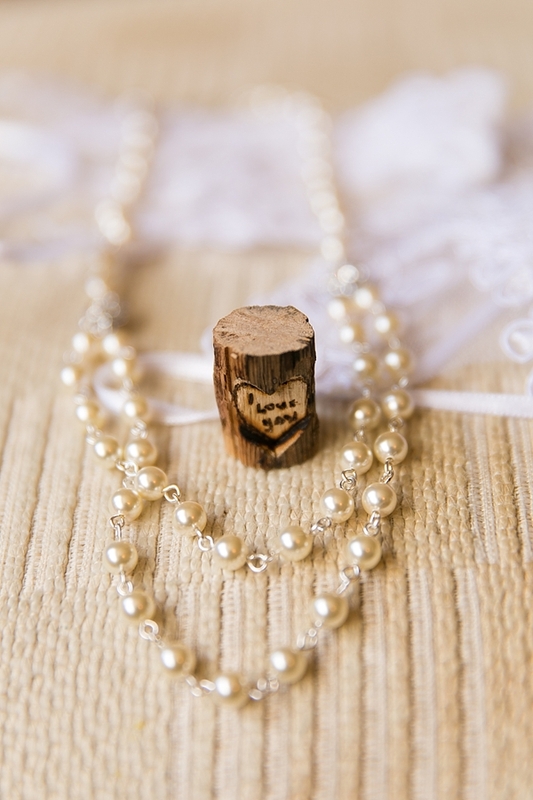 To personalize their wedding ceremony in the Miyazaki Japanese Garden, Ashley and Heather wrote each other love letters that they put into a beautiful wooden wine box that Heather built (she even carved an adorable little tree stump just to say "I love you" to Ashley!). 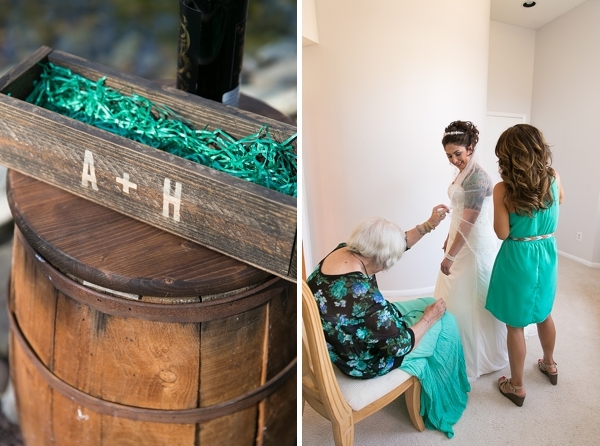 A bottle of wine was then placed on top -- only to be enjoyed on their first anniversary while reading their letters to each other. 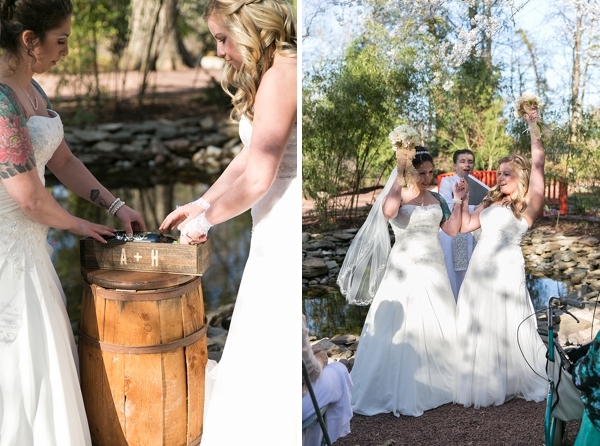 Now that kind of personalized tradition is one we absolutely love! 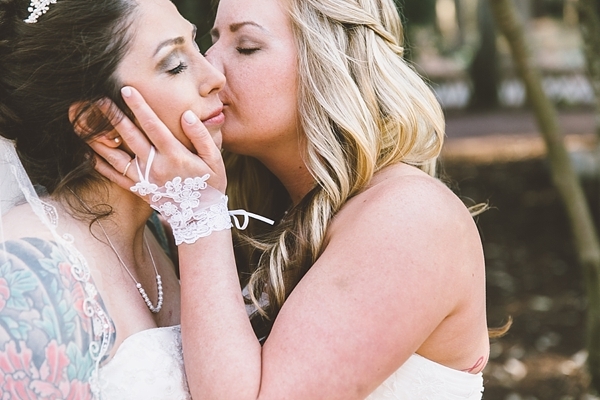 Captured by Jessica Ryan Photography, these two lovebirds embraced their individuality through lace gloves, special jewelry, and cowgirl boots. 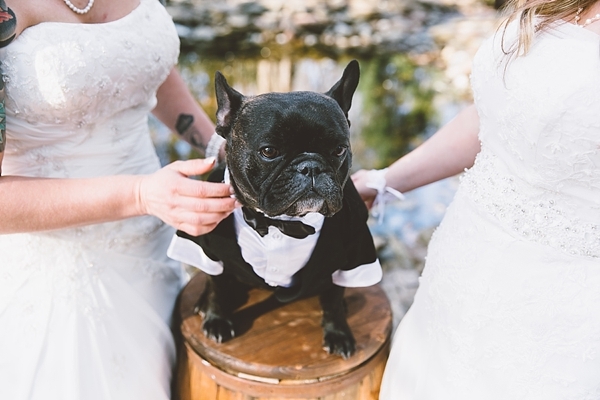 Even their Frenchie Jack showed off his handsome wedding wear!